Thomas Robinson Architects are celebrating their own royal connection this week as work progresses on a very unique project in a beautiful part of the Loch Lomond and Trossachs National Park. We were enlisted to redesign the C-listed Royal Cottage which was built for Queen Victoria by the former Glasgow Water Works Corporation to accommodate her when she officially opened the Loch Katrine Water Scheme in 1859. However, she never actually stayed in the property as it is believed that during the official opening, a 21-gun salute shattered the windows and made the house unfit for occupation by the esteemed visitor. 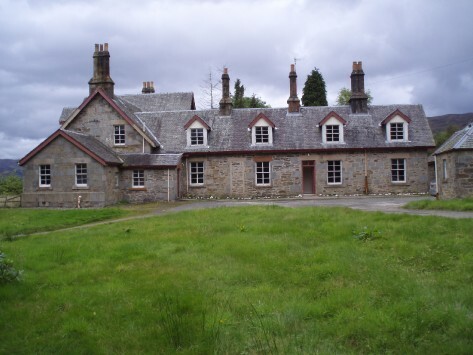 The cottage was later converted into three separate properties but has been empty for several years and had fallen into a state of dilapidation. Our work has involved turning the house back into a single property and among the challenges we faced was how to deal with three species of bats that lived in the house. Conditions of the license issued by Scottish Natural Heritage relating to the bats meant that the re-roofing work had to be carried out during the winter of 2010-2011 - one of the worst winters in years. The work had to be done then because the bats generally vacated the building during the colder months. This posed a major challenge but all work was completed prior to the license expiry date and the time of year when the bats were expected back. Preserving the historic fabric of the building was a major consideration in our approach to the restoration of this property and a sensitive choice of external materials was essential. In addition, major rot works have been carried out and the building has been fully insulated to bring it up to modern building standards. Work is expected to be completed in the next couple of months and the finished project promises to once again provide a building fit for a queen.